A former borate mine located in the NE¼NE¼ sec. 36, T26N, R2E, SBM, 2 miles 3.6 km (2.2 miles) WNW of Ryan (S of hill 2562), on National Park Service land (Death Valley National Park). Discovered in 1915. Operated by Tenneco Mining Inc. (1976). Owned by the Pacific Coast Borax Co.; Russell, Monaghan, Barlow, and Hill; Pacific Coast Borax Co. (1915). The mine was purchased in 1960 by the Kern County Land Company for $200,000. Operated in the 1960's and during the period 1970 to 1977 (?). Closed in 1977. 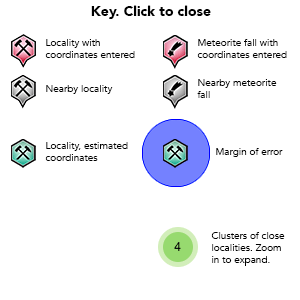 MRDS database stated accuracy for this location is 100 meters. 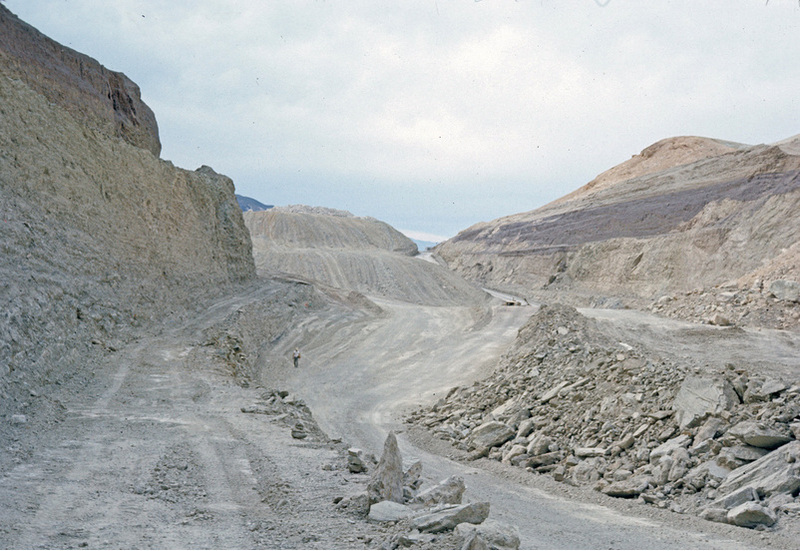 Mineralization is a lacustrine borate deposit (Deposit model: 260: Lacustrine borates; USGS model code 35b.3), hosted in rocks of the Miocene Furnace Creek Formation (limestone, clay, mud, mudstone, sandstone, shale). The ore body is lenticular, strikes E-W and dips 5-60S (40S average), at a thickness of 39.62M, width of 853.44 meters, and a length of 213.36 meters. The rocks of the Furnace Creek Formation weather to a yellow or green. Grayish basaltic flows and/or intrusions occur locally in a zone from 400 to 900 feet above the base of the formation. In the mine area, the formation is a maximum of 1,200 feet thick. Local rocks include Quaternary alluvium and marine deposits. The deposit occurs on the S limb of the anticline within a few tens of feet to 200 feet of the base of the Furnace Creek Formation. t is cut near ground surface on the N by the pit fault and pinches out on the S at a depth of about 800 feet below then ground surface. The body is deformed locally by minor folds and ranges in thickness up to 130 feet (average 40 to 45 feet). The deposit is 2,800 feet wide along strike and 300 to 700 feet long down dip. The deposit is largely parallel to the dip of the enclosing beds. The Boraxo deposit is composed of 2 zones of borate minerals with interstitial clay and interlayered limy shale, mudstone, siltstone, and sandstone beds that are commonly 1 to 5 feet thick. The outer zone of the deposit is colemanite and the core is a mixture of ulexite and probertite. Local structures include a W-trending E-plunging anticline, the Death Valley graben, Pit fault and minor folding. Workings include surface openings comprised of an open pit with a length	of 670.56 meters. In 1976, the pit was 2,200 feet long, 300 feet wide at surface on the W to about 1,000 feet wide on the E and 225 feet deep. The maximum pit depth will be 450 feet on the E, but the length and width were already at the maximum of the pit design. On completion of open pit operations, a substantial tonnage of ore will remain beneath the floor that would require underground mining. The stripping ratio of overburden to ore was 26:1 in 1976, but was expected to decrease with further mining. Production data are found in: Evans and Others (1976). Analytical data results: Assays of drill cores indicate an average grade of 20% B2O3 for colemanite ore. Assays of mill-run material indicate an average grade of 28% B2O3 for ulexite ore. This indicates a mineral content of about 40% colemanite and 70% ulexite-probertite. Reserve-Resource data are found in: An estimate by G. Orris from published data (1990). Reference: Nevada Bureau of Mines and Geology Report 26, "Guidebook: Las Vegas to Death Valley and Return," Mackay School of Mines, University of Nevada - Reno, 1976. Reference: Nevada Bureau of Mines and Geology Report 26, "Guidebook: Las Vegas to Death Valley and Return," Mackay School of Mines, University of Nevada - Reno, 1976; Pemberton, H. Earl (1983), Minerals of California; Van Nostrand Reinholt Press: 288. Reference: [www.johnbetts-fineminerals.com]; Anonymous (1963), California Division of Mines and Geology, Mineral Information Service: California Mineral Production 1962: 16(1): 9; Murdoch, Joseph & Robert W. Webb (1966), Minerals of California, Centennial Volume (1866-1966): California Division Mines & Geology Bulletin 189: 154, 377; Pemberton, H. Earl (1983), Minerals of California; Van Nostrand Reinholt Press: 246, 255. Reference: Anonymous (1963), California Division of Mines and Geology, Mineral Information Service: California Mineral Production 1962: 16(1): 9; Murdoch, Joseph & Robert W. Webb (1966), Minerals of California, Centennial Volume (1866-1966): California Division Mines & Geology Bulletin 189: 154, 377; Nevada Bureau of Mines and Geology Report 26, "Guidebook: Las Vegas to Death Valley and Return," Mackay School of Mines, University of Nevada - Reno, 1976.; Pemberton, H. Earl (1983), Minerals of California; Van Nostrand Reinholt Press: 256. 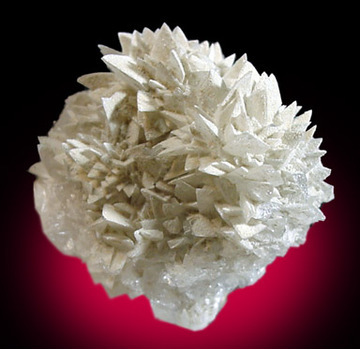 Reference: Collected it in the mine-Rock Currier; Erd, R.C., V. Morgan & J.R. Clark (1961), Tunellite, a new hydrous strontium borate from the Kramer borate district, California: USGS PP 424-C, article No. 255: C294-C297; McAllister, James Franklin (1970) Geology of the Furnace Creek borate area, Death Valley, Inyo County, California. California Division of Mines and Geology Map Sheet 14, 9 pp. : 8; Minette, J.W. and Wilber, D.P. 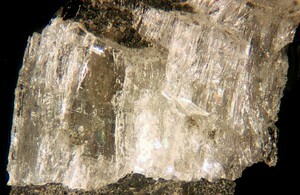 (1973) Hydroboracite from the Thompson mine, Deathe Valley. Mineralogical Record: 4: 21-23. Reference: Anonymous (1963), California Division of Mines and Geology, Mineral Information Service: California Mineral Production 1962: 16(1): 9; Murdoch, Joseph & Robert W. Webb (1966), Minerals of California, Centennial Volume (1866-1966): California Division Mines & Geology Bulletin 189: 154, 377. 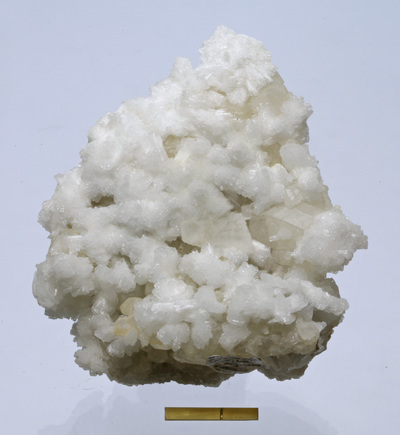 Erd, R.C., V. Morgan & J.R. Clark (1961), Tunellite, a new hydrous strontium borate from the Kramer borate district, California: USGS PP 424-C, article No. 255: C294-C297. Anonymous (1963), California Division of Mines and Geology, Mineral Information Service: California Mineral Production 1962: 16(1): 9. Murdoch, Joseph & Robert W. Webb (1966), Minerals of California, Centennial Volume (1866-1966): California Division Mines & Geology Bulletin 189: 154, 295, 377. McAllister, James Franklin (1970) Geology of the Furnace Creek borate area, Death Valley, Inyo County, California. California Division of Mines and Geology Map Sheet 14, 9 pp. : 8. Minette, J.W. and Wilber, D.P. 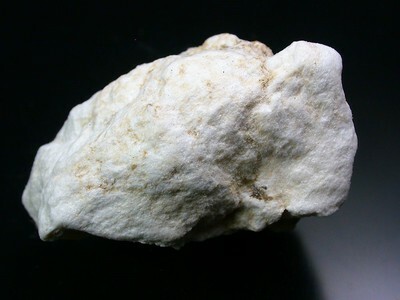 (1973) Hydroboracite from the Thompson mine, Deathe Valley. Mineralogical Record: 4: 21-23. Nevada Bureau of Mines and Geology Report 26 (1976), "Guidebook: Las Vegas to Death Valley and Return," Mackay School of Mines, University of Nevada - Reno, 1976. Evans, James R., G.C. Taylor, and J.S. 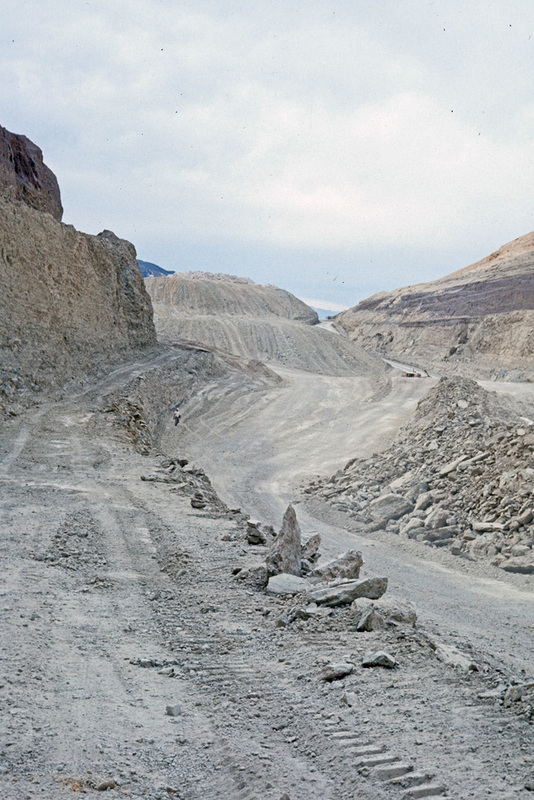 Rapp (1976) Mines and mineral deposits in Death Valley National Monument. California Division Mines and Geology Special Report 125: 23-26. 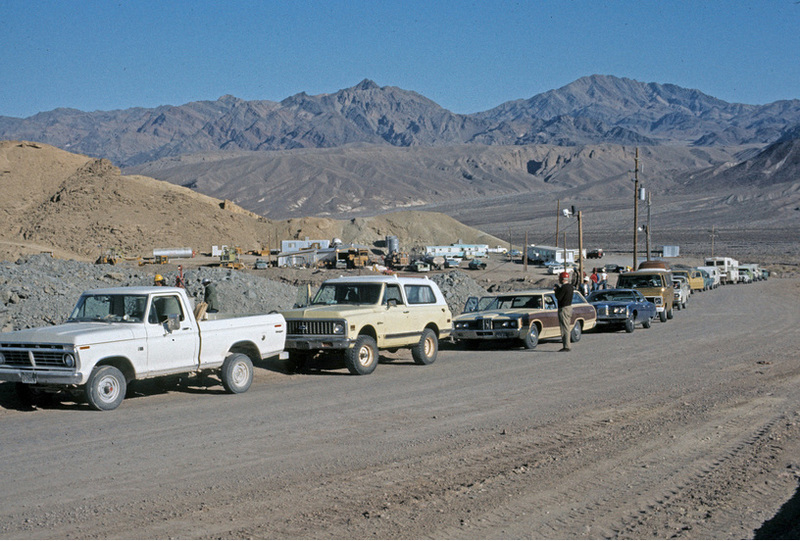 Guidebook: Las Vegas to Death Valley and Return (1976), Nevada Bureau of Mines and Geology Report 26, Mackay School of Mines, University of Nevada - Reno. 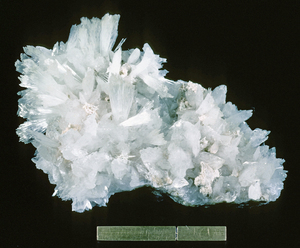 Countryman, R.I. (1977), Hydroboracite from the Amargosa Desert, eastern California: Mineralogical Record: 8: 503-504. 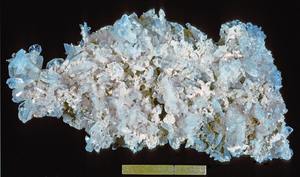 Pemberton, H. Earl (1978) Hydroboracite from the Furnace Creek formation. Mineralogical Record: 9: 379-381. Pemberton, H. Earl (1983), Minerals of California; Van Nostrand Reinholt Press: 238 (map 7-1), 240, 246, 255, 256, 288. Orris, G. (1990) estimate of reserves from published data (NFI). USGS (2005), Mineral Resources Data System (MRDS): U.S. Geological Survey, Reston, Virginia, loc. file ID #10023438 & 10115311. U.S. Bureau of Mines, Minerals Availability System (MAS) file ID #0060271259.